Earnings season for the semiconductor industry does not start earnest until next week when over 34 percent of the members in the PHLX Semiconductor Sector Index (XSOX) report results. Ahead of that earnings onslaught, some traders are leaning bearish when it comes to semiconductor exchange traded funds. The PHLX Semiconductor Sector Index slid 6.50 percent last year amid waning demand for smartphones and other technology products driven by semiconductors. Recently, Morgan Stanley lowered its outlook on the group, noting conditions for markets where semiconductors are used are getting worse, not better. Should these trends linger or worsen, the Direxion Daily Semiconductor Bear 3X Shares (NYSE: SOXS) could benefit. SOXS attempts to deliver triple the daily inverse returns of the aforementioned PHLX Semiconductor Sector Index. With over 34 percent of the PHLX Semiconductor Sector Index reporting earnings next week, SOXS could be in focus for risk-tolerant traders if semiconductor companies deliver worse-than-expected results. However, the utility of SOXS is not confined to next week. From January 28 through February 8, nearly 38 percent of the PHLX Semiconductor Sector Index reports earnings. Data suggest traders are already betting on earnings disappointments from chipmakers with SOXS. For the 10-day period ended Wednesday, Jan. 16th, inflows to SOXS equaled nearly 41 percent of the ETF's total assets under management, according to issuer data. As a percentage of total assets, only two Direxion ETFs saw larger inflows over that 10-day span. 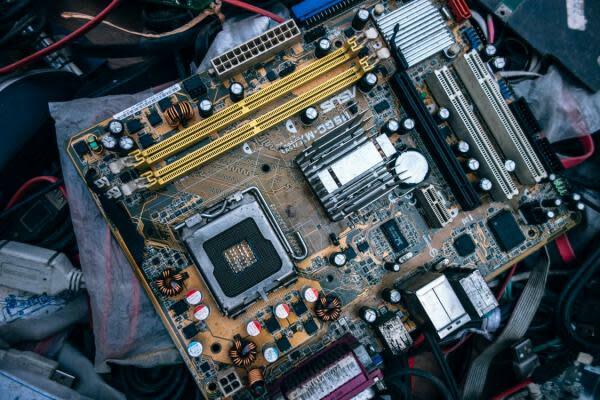 Semiconductor ETFs are usually more volatile than broader technology funds and SOXS fits that bill, reminding investors that this is a leveraged ETF best used over short-term frames and around specific events, like earnings reports. Over the past 30 days, only three of Direxion's leveraged bearish funds have been more volatile than SOXS. The near-term stage for SOXS will be set over the next several days as marquee chip names Taiwan Semiconductor Ltd. (NYSE: TSM) and Texas Instruments (NASDAQ: TXN) report earnings on Thursday, Jan. 17th and Wednesday, Jan. 23rd, respectively.